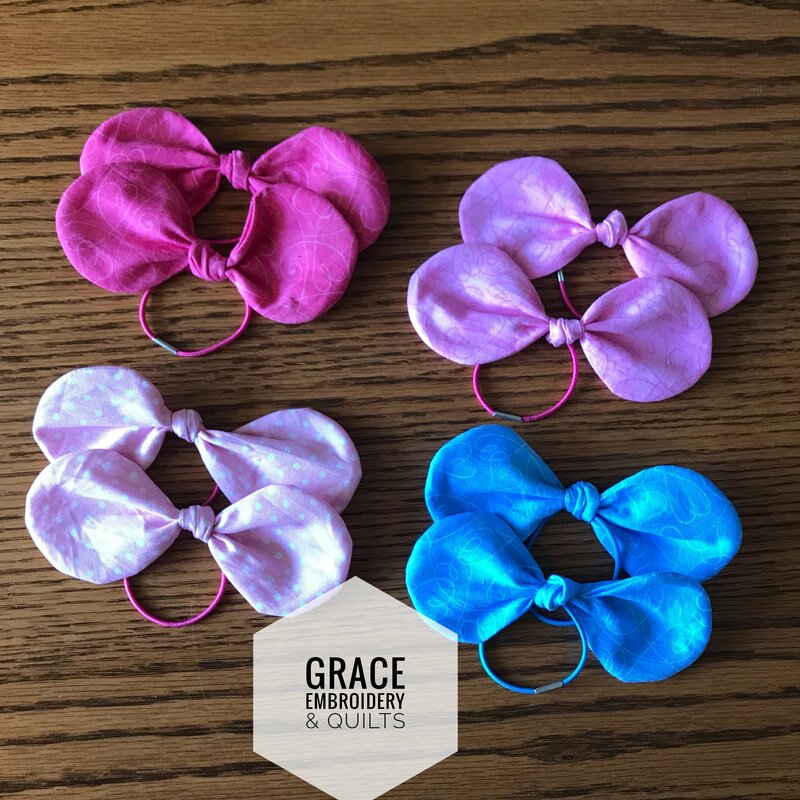 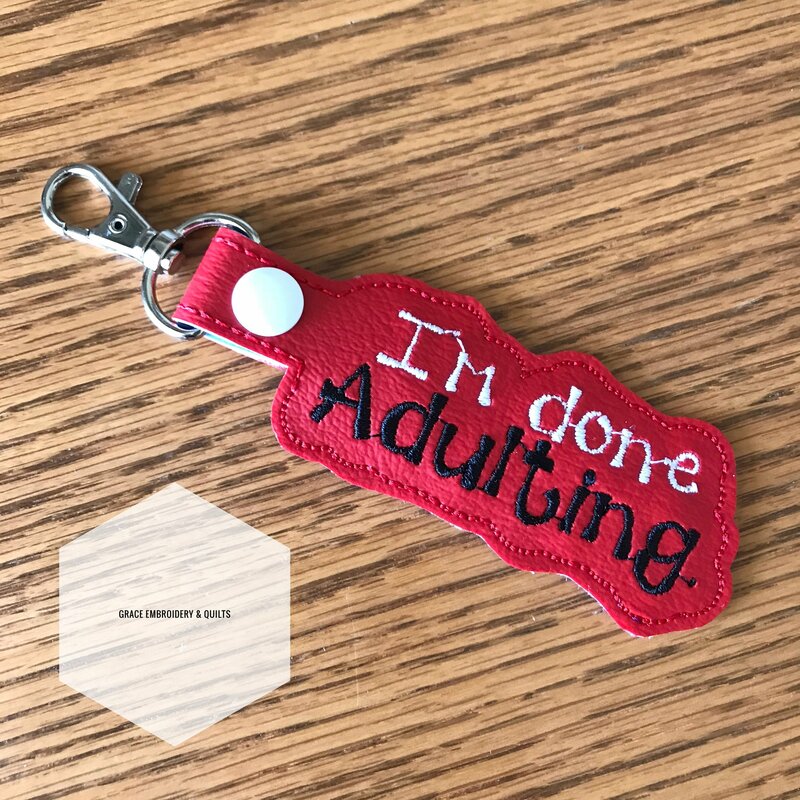 These hair bows are made of 100% cotton fabric, can be washed if they become dirty. 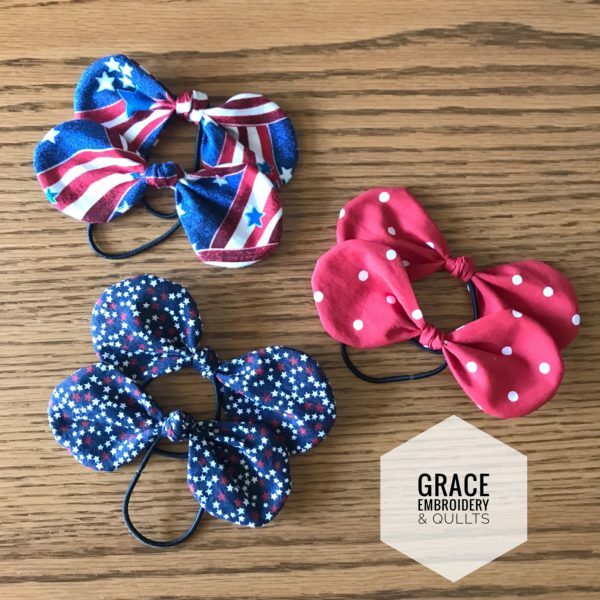 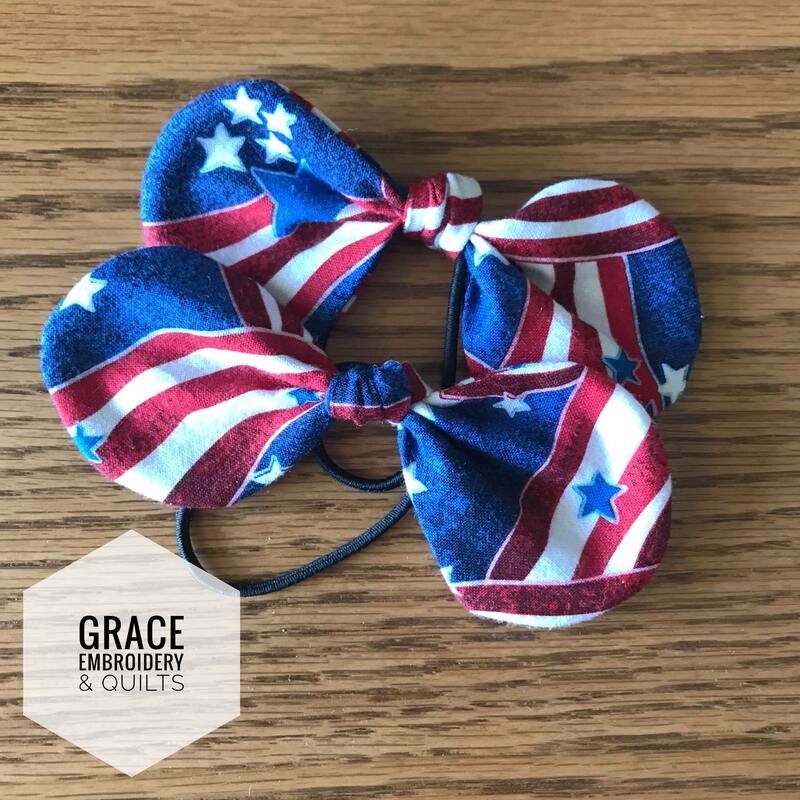 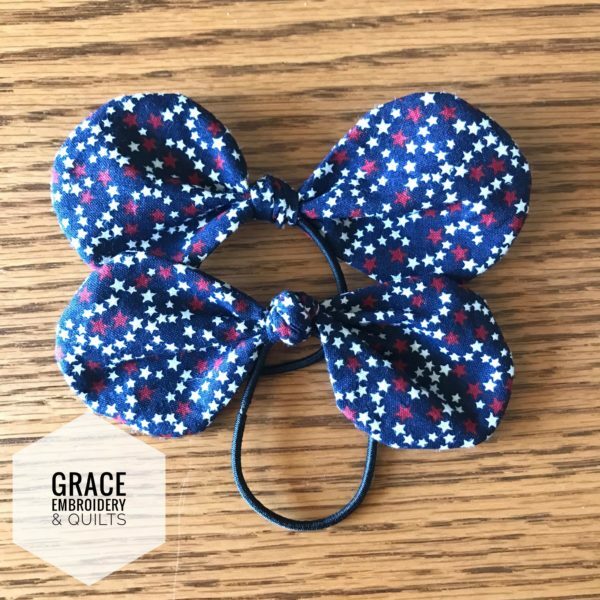 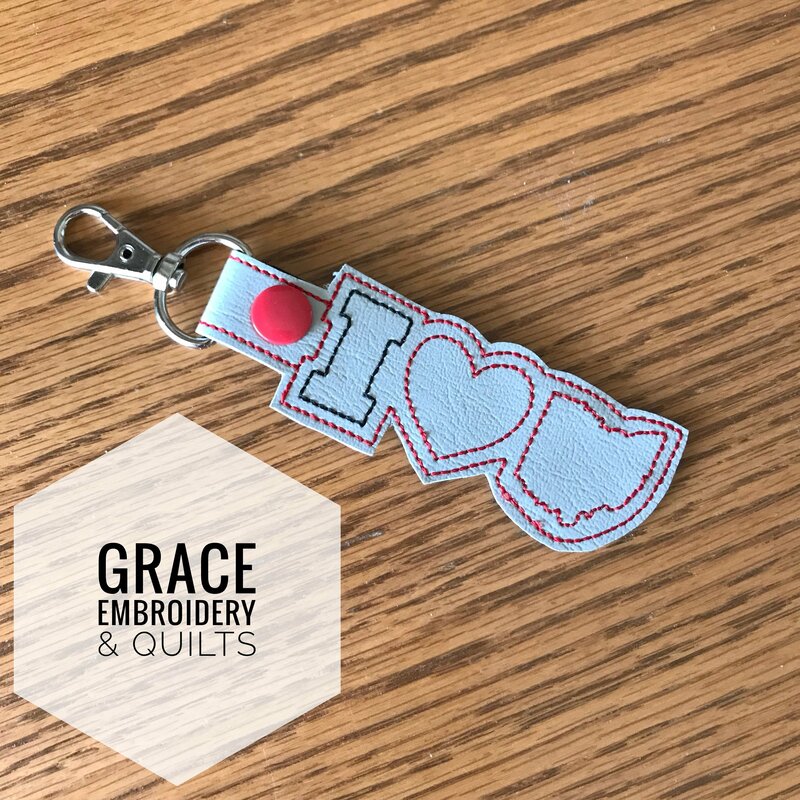 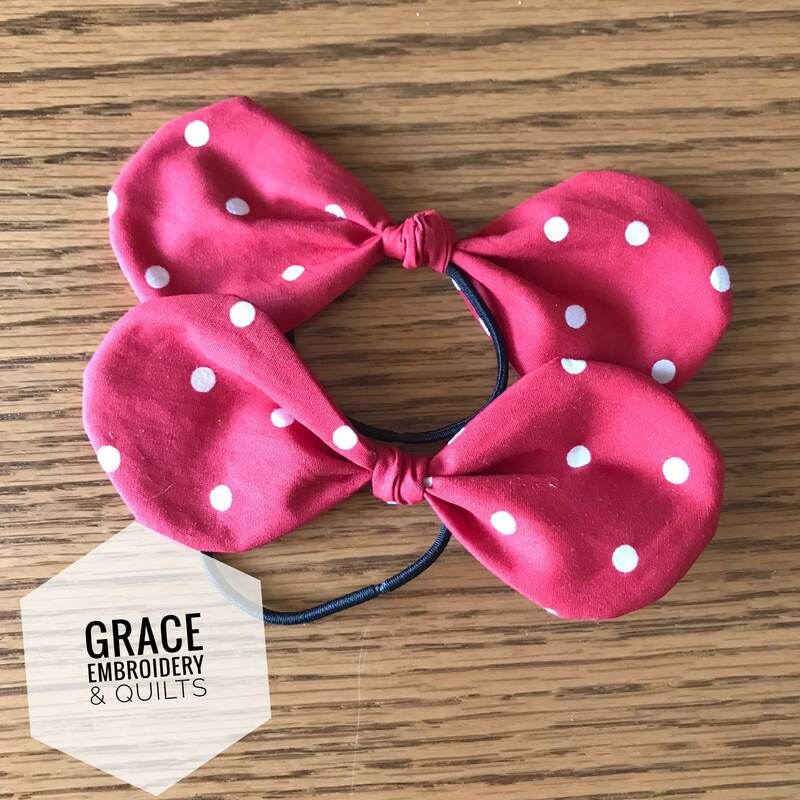 You will receive 2 bows made of matching fabric: Red with white polka dots, Blue with red and white stars, Red, white and blue (patriotic), on a hair elastic. Perfect for that little girl that wants 2 ponytails and matching bows!